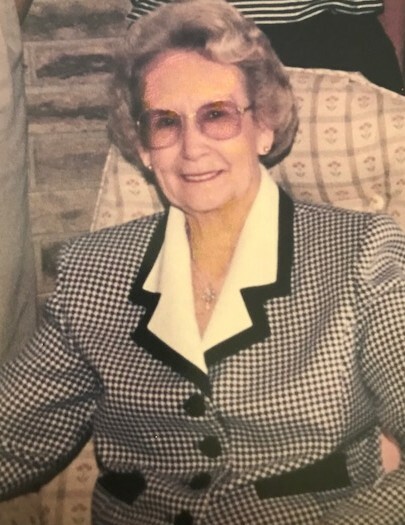 Norma Lee Woodruff, age 92, of Sabina, passed away on Wednesday morning, October 17, 2018, at Clinton Memorial Hospital. Born April 8, 1926, in her lifelong home, she was the daughter of Olie and Clarice Winfield Hudson. Her husband, Darrell Woodruff, passed away November 26, 2004; they were married April 23, 1948. She was a 1944 graduate of Wayne High School, Columbus Beauty School and a member of the Sabina Historical Society. Norma Lee had been a beautician and was a home maker and a lifelong farmer. Survived by her sons, Martin (Debbie) and Gregg (Beth) Woodruff. Also left to cherish her memory are grandchildren: Brad (Angela) Woodruff, Megan (Dusty) Slivka, Mark (Samantha) Woodruff and Ross (Sabrina) Woodruff; great grandchildren: Samantha, Kylie, Harper and Larkyn Woodruff, Claire and Evelyn Slivka, Max and Finn Woodruff and Darrell Woodruff; along with special friends Joy Howard of Frankfort and Helen McFadden. Friends may call on Tuesday, October 23, 2018, from 11am-1:00pm at Littleton Funeral Home, Sabina, where the funeral service will follow at 1:00. Burial will be in the Centerville Cemetery, Lees Creek. Memorial contributions are suggested to SRWW Fire Dept and EMS or The Sabina Historical Society.